Quell those days that has fear alone in your daily life. Wrap the entire place within your palm with the help of our home security and automation systems that stays awake and vigilant round the clock. 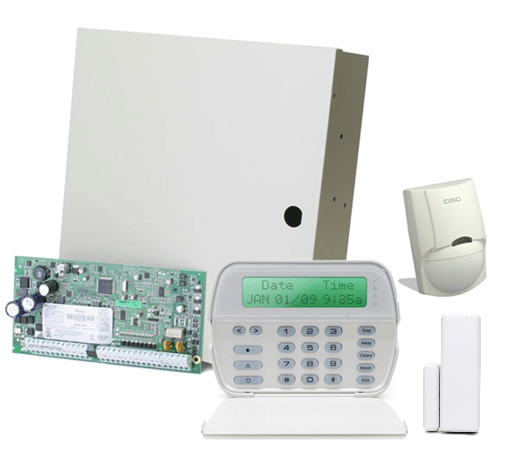 Our Home Automation Company‘s security gadgets and devices provide solutions for your home through our home automation locking system and security automation systems and bring complete relief by removing even the slightest possibility of any mishap to your family and belongings. The Control4® Door Station delivers full-motion video intercom and the fidelity of wideband audio intercom for crystal-clear communications and video security throughout a home or business. The Door Station comes in 3 stylish colours—Satin Nickel, Satin Black and Venetian Bronze—and provides audio and video intercom communications with the Control4 7″ Touch Screen with Camera. It is also capable of audio-only intercom communications with Control4 5″ and 7″ (Without Camera) Touch Screens. Freedom is placed at your fingertips with Yale Real Living—the next generation of home security locks from Yale®, a trusted name in security since 1840. As part of Control4 home system, owners experience a new type of ‘real living’; the lock becomes the first point of contact for home control on any door the lock is installed. Experience ‘real living’ possibilities—Enter a user code to enable a welcome scene that disarms the security system, activates lights, and even adjust the thermostat. Know when family members or friends come and go and have the ability to remotely lock or unlock your doors. The lock ensures that your home is always secure. You’re in control with Yale. Available in two styles: elegant acrylic touchscreen or durable push button key pad Available in three designer finishes—polished brass, oil rubbed bronze permanent, and satin nickel Privacy mode locks out the keypad ensuring security Remotely lock and unlock doors from any web-enabled device—requires 4Sight subscription Receive text or email messages to your cell phone from pre-programmed alerts – requires 4Sight subscription. DSC Control Panels have a proven reputation for providing the value and dependability that security professionals demand. The modular design of the DSC Control Panels provides even more value-added features including support for CO detectors, Door Contacts, Vibrations Sensors, Glass Break Detectors, PIR Sensors. It completely integrates with the Automation system which provides you a 2-way communication so that you can be rest assured and completely concentrate on your regular routine.